Welcome to your ultimate SUNY Buffalo Law School CSO resource center! Here, you can find books, websites, articles, training materials, guides, blogs, videos, and podcasts to help you in all stages of your job search. Our most popular links and resources are highlighted right here on this page. Click on the tabs above to access the rest of our vast collection. 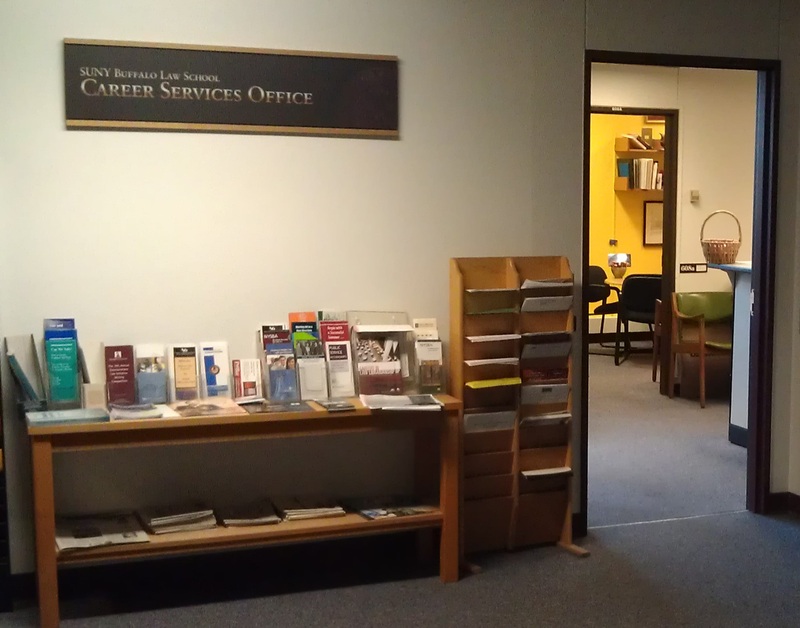 Welcome to the new Career Services Office Resources Lib Guide! The site is still under construction and every day we are adding the additional resources we have available through our office or in the law library. Almost all the links to websites we feel you will find helpful are now listed, so there is good reason to take a look around. If there are other sites you have found helpful in your studies or job search that we do not have listed, please let us know so we can take a look and share if appropriate. Also, if you see any errors (even minor typos) or feel there are omissions on the pages, please let us know this as well. Our e-mail is law-careers@buffalo.edu. The Career Services Office often records the panels and information sessions it presents. Those recordings and other beneficial audio recordings are available on the website listed below. Comprehensive listing of summer and graduate hiring programs for dozens of Federal and State agencies. Check out the summary tables by class year to see deadlines at a glance! Hover over the "i" for more info! These are some of the most-used websites for law students. Delve into the other tabs for many, many more books and links! The premier database and job posting repository for public interest and government employers. It's also the home of much fellowship and public interest funding information.